Many homes in the Merrimack Valley still use a boiler for heat, and they can be a great way to keep your house warm during the winter. 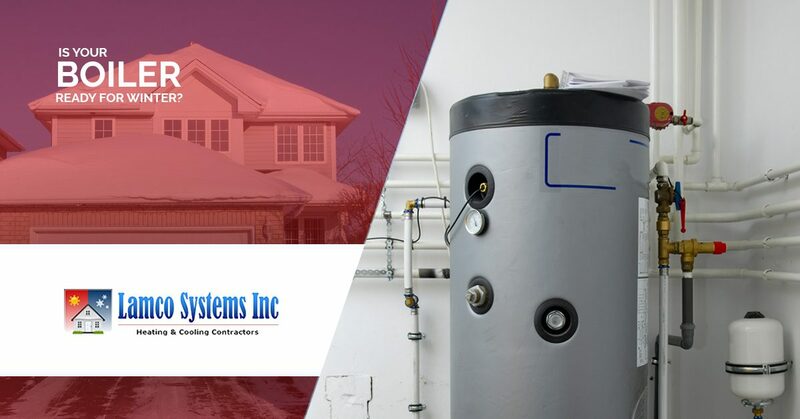 At Lamco Systems, we know the issues that can arise with a boiler system, and we’re here to help make sure you have heat, especially during the colder months of the year. If there’s an issue with your boiler, contact us right away! If your boiler is working properly, it will distribute hot water or steam to radiators to the rooms in your house. You may have the old coil radiators, or perhaps you have baseboard heaters that warm up when the boiler kicks on. If your radiators don’t seem to be warming up, there could be an issue inside one of the pipes. It might be necessary to “bleed” your radiators so that any trapped air is released and the entire radiator can heat up to keep the room warm and cozy. Any HVAC noise that isn’t related to the system turning on or shutting off should be cause for concern (even start-up and shut-down noises can mean something is wrong). If your boiler seems to be much noisier than it was in years past, it could be due to what is known as “kettling.” A rumbling or gurgling noise could mean that limescale has built up in the heat exchanger, and it may be necessary to clear the pipes in your boiler. Boilers require interior pressure to distribute water or steam through the pipes to your radiators. If you have a pressurized system and you’ve noticed that the needle on the gauge keeps dropping, it could be due to a leak in the water supply pipe, or an issue inside the expansion tank (where the air expands during the system’s heating cycles). There are DIY methods for re-pressurizing your boiler, but it’s often best to leave such a task to professionals – an over-pressurized system can be very dangerous and pose a risk to you and your family. It’s never a good thing to find water on the floor beside your boiler or your radiators. This issue is often indicative of a leak or a loose connection, and while you may be able to pinpoint the source, it’s best to call a service technician to handle the problem. Keep in mind that the water from the leak may be very, very hot, so trying to mop it up with a towel could lead to serious injury. 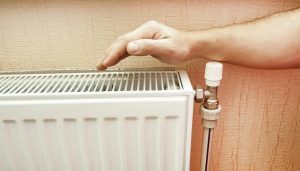 There are a number of things to check to make sure your boiler is ready for the winter and the increased heating demand that the season brings. It doesn’t matter if your system runs on oil, natural gas, or propane, our team can handle any repairs or replacement. We’ll help you schedule a service time that works for you, and if something goes wrong in the middle of the night, our 24-hour emergency service will be there to help!